This past week, many of our staff made their way up to Sandusky to participate in the Ohio Library Council’s (OLC) annual convention. The three-day conference, themed “Strengthening Our Core,” focused on inspiring new ways to explore and strengthen library core services. 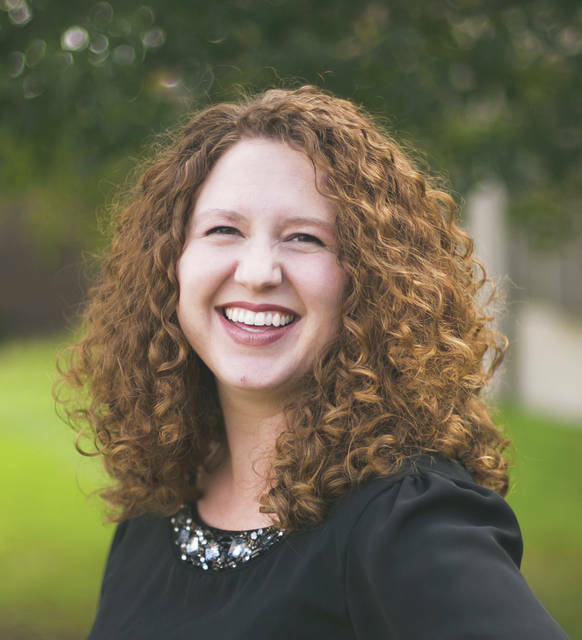 From youth services to designing library spaces, attendees could choose from more than 65 different sessions to create a customized professional development program. 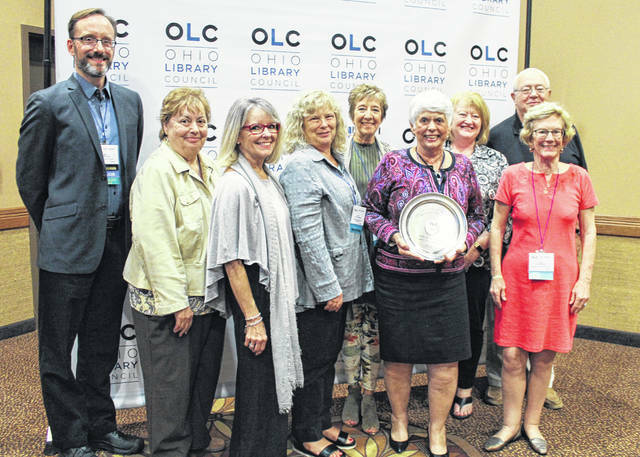 I had the privilege of visiting the convention on Wednesday to attend the OLC Awards and Honors Luncheon and witness our Friends of the Delaware County District Library (FOL) receive the Ohio Friends of the Library Recognition Award. This award goes to a Friends group who performs imaginative and effective activities that help increase community awareness of its library. Through programs like author visits, young writers workshops, coffees with the director and, of course, book sales, the Friends of the Delaware County District Library have aligned themselves and the library as one of the cultural assets in the region. Since their founding, the Friends have contributed more than $70,000 to the library to help fund various programs and purchases. Additionally, they began a mini-grant program for any library staff member who joins as a Friends member. These mini-grants have helped fund projects and amenities that the library otherwise would not have paid for. Small office perks like Keurig coffee makers in the staff area and department pizza parties are some examples of what our staff have used the mini-grants for. You won’t find a more hard-working and dedicated group than our Friends of the Delaware County District Library. Help me in congratulating them the next time you see them. Some of their upcoming events include Coffee with George (Oct. 22, 7 p.m., Orange Library), Young Writers Workshop (Oct. 27, 9:30 a.m. and 1:30 p.m., Orange Library), and their annual meeting (Nov. 15, 6:30 p.m., Orange Library). Learn more about the Friends, their mission, and how to join at www.delawarelibraryfriends.org. This week, I’ve got recommendations from the October 2018 LibraryReads list. This list is made up of the top 10 books published this month that librarians across the U.S. love. Here are some highlights. • “The Proposal” by Jasmine Guillory. Surprised by her new boyfriend’s jumbotron proposal at a Dodgers game, Nikole is rescued from the public humiliation of having to say no by a handsome LA doctor. • “The Clockmaker’s Daughter” by Kate Morton. More than 150 years after an artist’s retreat on the banks of the Upper Thames ends in murder, theft and ruin, a London archivist is drawn by a striking photograph and a sketchbook to discover a manor’s secrets. • “The Dream Daughter” by Diane Chamberlain. Learning that her unborn child has a heart defect, a 1970s family woman is urged by her physicist brother-in-law to pursue a solution that pushes the boundaries of science and faith. • “The Library Book” by Susan Orlean. Reopens the unsolved mystery of the most catastrophic library fire in American history, the 1986 Los Angeles Public Library fire, while exploring the crucial role that libraries play in modern American culture.